I know what you’re thinking: “peanut butter and chia- wha?! Where’s the jam? !” and to that I say, it’s time for peanut butter to explore some other, healthier relationships. 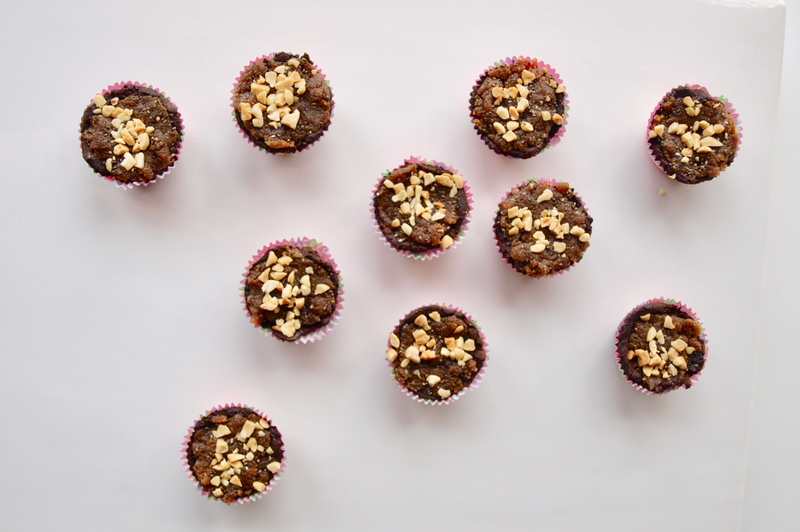 This recipe pairs peanut butter with super healthy fibre and protein-packed chia seeds. It’s an unusual paring (kind of like when one of your friends who eats McDonald’s every day starts dating someone else who’s all about the green juice) but I think it works great. As in, I could not. stop. eating these. And because I like to save time and energy, I’ve created a recipe you don’t even need to put in the oven. These gorgeous treats are basically ready to eat as soon as you’ve pressed them into your muffin tin, although you can put them in the fridge or freezer to set, or to get cold so you can serve them as a frosty dessert. What you end up with are these bite-sized lovelies, which make the perfect grab-and-go snack, sweet and salty breakfast, or dainty dessert. Or you can just be a boss and eat the entire batch in one sitting. I’m not saying you should necessarily do that (moderation is key to healthy eating! 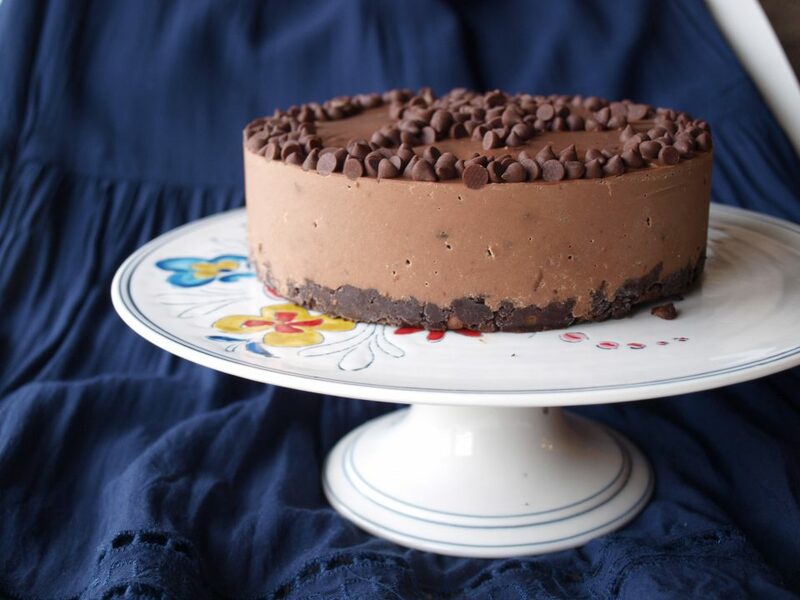 ), BUT I am saying you might want to, and hey, if you decide to just go full dessert fiend with a recipe, it might as well be a healthy, delicious little number like this one! Try not to eat them all. But don’t feel bad if you fail. 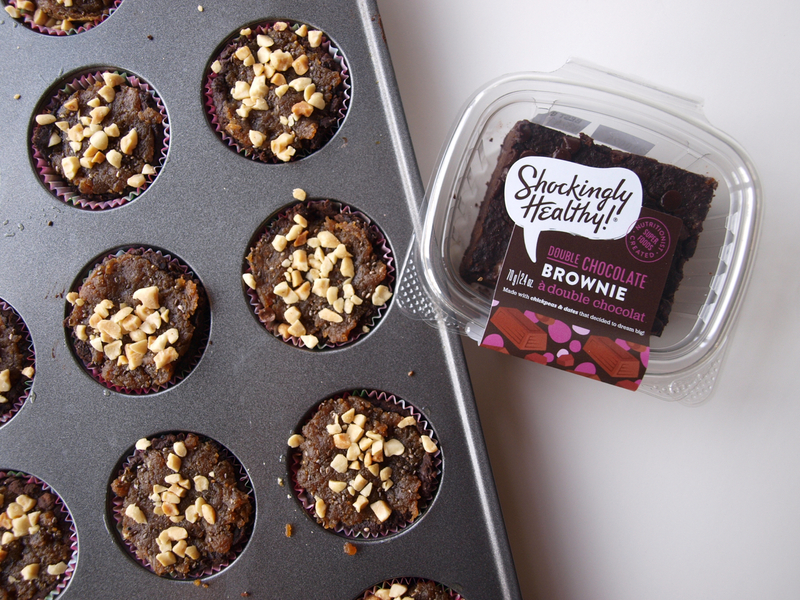 Don’t forget to follow us on Instagram @shockinglyhealthy and tag us if you decide to make these gorgeous treats. We’d love to hear how you liked them! Don’t try to bite your computer screen. It’ll just take like glass. Puree all filling ingredients together and set aside. 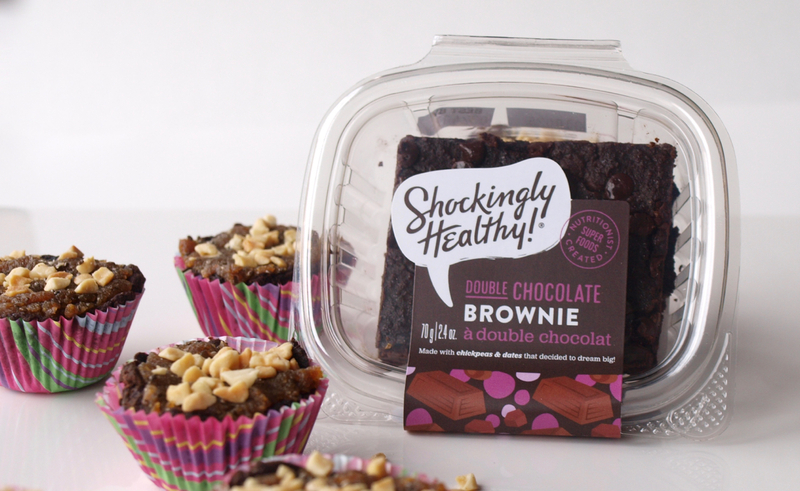 Cut Shockingly Healthy Double Chocolate Brownies into 4-6 pieces. Take a piece and roll it into a ball between your hands, then flatten it until it's a couple of inches wide. 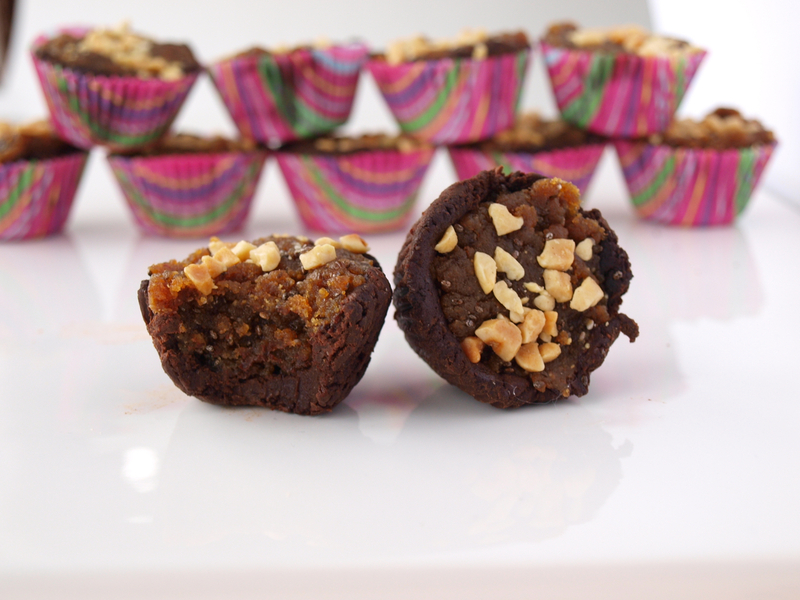 Press brownie ball into lined mini muffin liner. 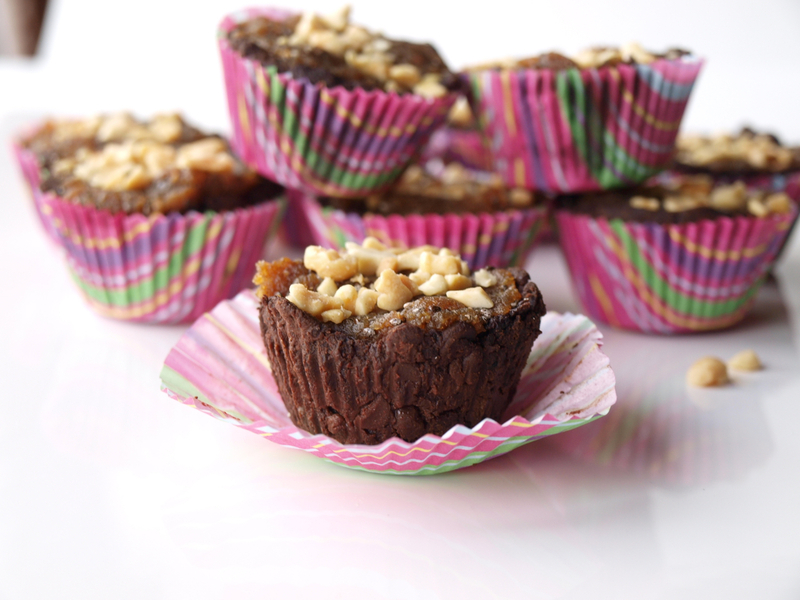 Fill each muffin lined tart with your PB filling and press in. You can choose to eat these right away (you'll want to! ), but you can also place in the fridge or freezer to chill. This recipe produced 20-24 mini muffin pan sized tarts. The brownie is amazing but you could do this crust-free too! Store in the refrigerator or freezer, and enjoy!